But along with Chinese money has come Chinese migration. Hundreds of thousands of mainland Chinese have immigrated to Australia in the past decade. Many of them have brought ideas for businesses, but also an ideology that stresses the unity of China, viewing Taiwan as a rebellious territory that broke away in 1949. And as China’s government has intensified a crackdown on those who fail to recognize its One China policy — from human rights advocates to corporations like the Marriott hotel chain — members of the Chinese diaspora have similarly taken up the cause on a more personal scale. Their efforts have added to a sense of Chinese ubiquity: For anyone who identifies as Taiwanese, supports Taiwan’s independence — or even inadvertently refers to Taiwan as a country — Chinese nationalism has become a threatening and unrelenting presence, like a smog that never lifts. In Australia, service workers, professionals and students from Taiwan have all described gatherings with mainland colleagues and acquaintances where the default setting is that Taiwan and China are one country. Some people from Taiwan explain that the most nationalistic Chinese often have a “glass heart,” meaning they are easily offended by disagreement. Others note that many people in Taiwan consider the island part of China and that, given the economic benefits, good relations are necessary. But for many, silence is the spawn of fear. There are widening concerns in the Australian government and in immigrant communities that the Chinese government is watching and listening, ready to apply pressure on those who do not toe the Communist Party line. Paul Lin, president of the Australian Taiwanese Friendship Association, said several people believed to be Chinese agents were snapping photos of people at the Sydney Taiwan Festival in 2016. Chinese students at Australian universities have also reported close monitoring by their peers, and say the pressure to conform on the issue of Taiwan has been intense in classrooms, at work and on social media. Children at the Sydney Taiwanese School. Weekend classes focus on language and culture. Australia’s mainland-born population has grown rapidly — doubling since 2006 to about 510,000 people — and with the Taiwanese population hovering at less than a tenth of that, an imbalance has emerged. Chinese business owners can easily make Taiwanese workers feel marginalized and vulnerable. Mr. Lin said that for Chinese immigrants who still have family and business interests in China, discriminating could be “an entry point,” a way to show loyalty to Beijing. Ms. Tuan’s experience provides a glimpse of how that power dynamic works. Her story became public when Ms. Tuan, who goes by Winnie in Australia, published a Facebook post about her experience on Jan. 9, the day she was fired. That post, in which she named the restaurant, HuTong Hot Pot, and a supervisor she called Mr. Ha, quickly went viral on Chinese social media. The Sydney suburb of Chatswood is popular with Chinese immigrants. Australia’s mainland-born population has more than doubled since 2006 to about 510,000 people. More than a dozen Chinese news outlets republished the article. The comments section was filled with praise and promises to visit. During the lunch rush one day last week, the restaurant was packed. Ms. Tuan, 29, said in an interview that other comments on social media were supportive of her cause. “People could relate,” she said. They included Daniel Chang, 28. A hairdresser working in Melbourne, Mr. Chang said he never received a callback from a salon that had seemed eager to hire him until he mentioned he was Taiwanese. Jade Liao, 26, ran afoul of a customer. She said that in 2016, at a shoe store where she worked, a Chinese student berated her after she answered a question about whether Taiwan was part of China. Many other Taiwanese workers described similar experiences — mostly young women on working holiday visas. 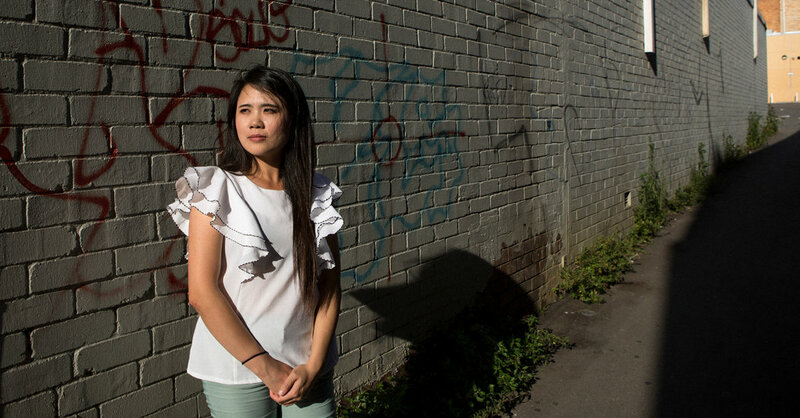 More than 12,000 of these visa holders come to Australia each year from Taiwan, and they are known to be part of a vulnerable cohort that is regularly paid below the minimum wage — an issue that Australia’s Fair Work Ombudsman has made a priority, assessing penalties against employers of various backgrounds. A spokesman for the agency, however, said it had not undertaken any enforcement actions for discrimination against Taiwanese workers, or any other group, based on their political opinions. Mr. Li, of the Australian Taiwanese Friendship Association, and many others in the Taiwanese community said Australia must do more to address the issue. Without more effort, Mr. Lin said, China will continue to erode Australia’s “fair go” culture of democracy and equality.